Hideo Tanaka is the genius who invented Warcross, a worldwide virtual reality game that puts you right in the action thanks to his neurolink glasses. Emika has read everything about Hideo but never imagined she'd have the opportunity to meet him until she hacks into the opening of the Warcross Championships and attracts worldwide attention. Now she is personally invited to join a Warcross team but more than that, Hideo has asked her to use her skills to help track down an even more experienced hacker named Zero who wants to disrupt the tournament. Emika finds herself with a group of friends for the first time in a long time as well as possibly with a boyfriend. 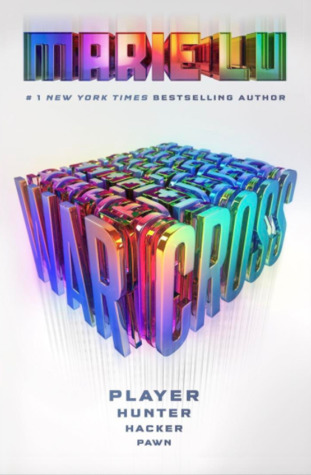 It's tough to come up with a premise that hasn't already been done a bunch of times but Warcross delivers some new stuff. The worldwide video game concept has been done but this still has the next twist of the neurolink which doesn't feel all that science-fictiony to me. Totally not that far away but pretty damn scary at the same time. And my scared sense of foreboding is not off base, either. I love Emika as a heroine. She is legit strong and sure of herself with the skills to back it up. I felt pretty sure early on that I knew where a couple of things were going but I hoped I was wrong. Unfortunately, I was right and I'm still sad about that. But I'm happy for the storyline overall because I admire authors who are willing to do the unpopular, but more realistic, thing.